Police in the U.K. received a $103,000 grant to extend the search through September 2017. 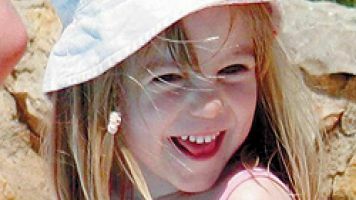 The 10-year search for Madeleine McCann just got another six months of funding. The U.K. government department that oversees police agreed to give investigators $103,000 (£85,000) to keep the search going from April through September. Madeleine was vacationing with her family in Portugal in 2007 when she disappeared. Her parents left her and her younger twin siblings in their holiday apartment while they went out for dinner with friends. While they were gone, Madeleine disappeared without a trace. Her parents promised never to give up. The ongoing search, nicknamed "Operation Grange," has cost around $13.5 million so far.